A man is in custody at Thorpe Wood Police Station following a five-hour armed police siege yesterday (Tuesday, October 20). The 31-year-old was arrested in Watergall, Bretton after 5pm yesterday. The man had been inside a house evading police arrest since after midday. 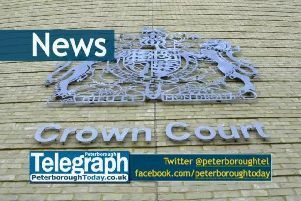 The woman who was inside with him did not sustain serious injury, a Cambridgeshire police spokeswoman said. The East of England Ambulance Service were called just after 1pm and sent an ambulance crew, two ambulance officers and a Hazardous Area Response Team which which provides emergency patient care faster at the scene of a major incident. A spokesman said a woman was assessed but that nobody needed to be treated. Cambridgeshire Fire and Rescue Service also attended.